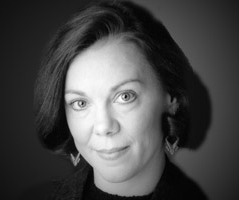 Alison C. Vesely was the Co-Founder and Artistic Director of First Folio Theatre. She passed away in 2016 from ovarian cancer. In the months just before her passing, Alison directed Jeeves at Sea and The Madness of Edgar Allan Poe: A Love Story. On the outdoor stage, she directed The Winter’s Tale (co-directed with daughter Hayley Rice), The Merchant of Venice, Shylock and His Daughter, Richard III, The Tempest (1997 & 2006), The Taming of the Shrew (1999 & 2005), Hamlet, The Comedy of Errors, Twelfth Night, Antigone, As You Like It, Macbeth (2001), Much Ado About Nothing (2000), Romeo and Juliet, and A Midsummer Night’s Dream (1998). On the indoor stage her credits included the world premieres of The Gravedigger and Salvage (both by Artistic Associate Joseph Zettelmaier); the world premieres of The Madness of Edgar Allan Poe, Will Rogers: An American Original, and The Castle of Otranto; and the Chicago premieres of Jeeves Takes a Bow, Jeeves in Bloom, Jeeves Intervenes, and The Passion of Dracula. In 2009, she was nominated for a Jeff Award for her direction of A Moon for the Misbegotten, which was also nominated for Best Production. Other First Folio directing credits on the indoor stage include Laughter on the 23rd Floor, Rough Crossing, The Rainmaker, Underneath the Lintel, The Turn of the Screw, Unnecessary Farce, Tea at Five, The Woman in Black and Blithe Spirit. Design for Living, Driving Miss Daisy, Angel Street, Private Lives, and The Importance of Being Earnest. Before founding First Folio, Alison was the Classics Project Director for Footsteps Theatre, a women’s theater company specializing in all-female productions of Shakespeare’s plays. Alison worked as the Folio Director and Dramaturge on many productions at Footsteps, including Romeo and Juliet, A Midsommer Night’s Dreame, and Macbeth. She also performed in these productions, earning an After Dark Award for the title role in their production of Macbeth. Other directing credits include Twelfth Night (Wayne State Univ. and Dominican University), Richard III (Hilberry Theatre, Detroit), Richard III (Footsteps and Shakespeare’s Herd at the Chicago Cultural Center), Real Human Dialogue, Riders to the Sea, Kiss Me Kate, and Scrooge. Alison has been an adjudicator for the Kennedy Center American College Theater Festival and the Irene Ryan Awards as well as serving a three-year term on the Theater Program Grants Panel for the Illinois Arts Council. She was a proud graduate of Illinois Wesleyan University.